Shakeology Scam??? | Backpack on with kids in tow makes me happy! 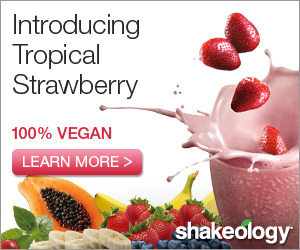 Home » Beachbody » Shakeology Scam??? Ok, I try to avoid posting about things that are debatable because, well, I could be wrong. Just because you don’t share my opinion on something doesn’t make mine right and your’s wrong. That being said, I do want to address what is being called the “Shakeology Scam”. I get asked questions all the time about Shakeology and I wanted to write a post hopefully to address some fears, concerns, and myths that seem to be circling around the internet. When Shakeology launched, I was first in the skeptics’ line. I didn’t think there was a Shakeology scam; I just thought two main things: (1) the claims about its’ health benefits seemed outlandish and (2) the price seemed rather high. I mean, how could they really cram all that vegetables stuff in one drink??? Seemed ludicrously impossible to me. I had (and continue to have) an enormous amount of faith in Beachbody and their products, but I, like many others, had serious doubts. Having been torched by other products and marketing scams in the past, it is hard to avoid being a doubter in today’s world. At first, my opinions remained the same. “Just another overhyped protein drink” and “Waste of money” were my usual thoughts, I have to admit. Shakeology scam? Sure seems like it. But, I am not a quitter and continued. Given the volume of my training and my meticulous nature, I was surprised to see improvements in some of my standard workouts. Not only was I feeling better, but I was seeing positive changes in my training. Interesting I thought, but there are simply so many variables affecting how you feel and Shakeology is just one. That all changed at the end of my three months. I had a fitness test with my triathlon Coach. My numbers didn’t just get better, they got WAY better. To the point that we re-did my bike test just to make certain the metrics would reproduce. I was floored. Needless to say, I decided to extend the three month trial and have never looked back. That to me is a big statement. Yes, I am a Beachbody Coach and yes, I sell Shakeology. But, I am also a consistent daily user (for years now). Not only that, my wife has it everyday for breakfast. (She actually got mad at me when I changed our auto-ship from Chocolate to the new Tropical Strawberry. Ummm, I changed it back.) I have many, many clients who have all made significant improvements in their fitness and health using it. Do I attribute all the improvements to Shakeology? Of course not. It, like many other products, is one tool that they use. I happen to think it is not only an amazing tool but also the best tool of that type ever created. I even give it to my kids periodically. Anybody that knows me knows I love my kids more than anything. If I am willing to give Shakeology to them, well, that’s the best Shakeology Scam debunking argument I can offer. If you think all of this is some trick or whatever to convince you yet you remain skeptical, that’s fine. Ask me your questions. Post your reservations. Heck, call me direct if you want. Just because I believe in Shakeology doesn’t guarantee it is right for you. But, I’d love to have the chance to help you find out! Well, that’s all I can offer. I obviously think it is worth every penny and would highly recommend you try it for yourself, especially with Beachbody’s “Bottom of the Bag Guarantee”. You can literally return an OPENED and EMPTY bag of Shakeology for any reason, as long as it is within 30 days of your purchase for a FULL refund (less shipping and handling). So, you have nothing to lose and a ton to gain! It has been proven to help lower cholesterol (an independent agency studied this). Insanity Workout on Sale in April!